Cindy Kurleto on Encantadia inclusion: "How do I deserve to be part of this?" Cindy Kurleto recalls thinking about Encantadia inclusion: "It must be a mistake!" Cindy Kurleto is proud to be part of the original Encantadia series. She recalls, "It was talaga family because we went through sleepless nights, we went through several days in a row of taping." 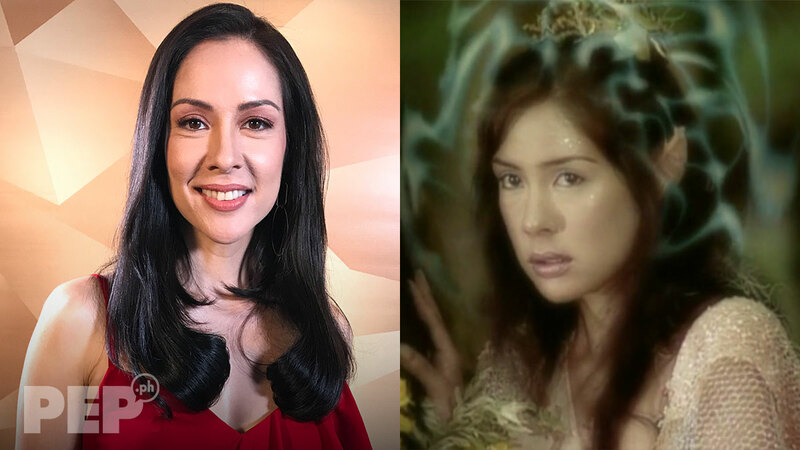 Former actress Cindy Kurleto said that Encantadia is indeed, one of the most unforgettable experiences she had when she was still active in showbiz. The Austrian actress-model is currently in the Philippines for an endorsement, after 12 years of shying away from the limelight, and focusing on motherhood. In an exclusive interview with PEP.ph (Philippine Entertainment Portal) for Myra Ultimate last March 6, Cindy said that she will always be proud to say that she was a part of Encantadia. In Encantadia, Cindy played Cassiopea, the seance of the kingdom who was a former queen. She was then punished by Bathala for breaking the "Inang Brilyante" into four gems. Cindy recalled at that time, "The professionalism which they create at the set and the costumes was a different level I experienced after that moment. "You can tell that the costumes are so intricate, and once, as an actor, or when you come to set and you see the effort, talagang you can feel your role. "You can feel the character because it helps you to emote when you see the world coming to life. I was so proud being part of Encantadia cast." Looking back at those 2005 days when she was just starting out as Cassiopea, Cindy did not ever expect that her character would turn out to be one of the most iconic. In fact, when she was just starting out in Encantadia, Cindy felt shy mingling with the other stars, especially the leads Sunshine Dizon, Iza Calzado, Karylle, and Diana Zubiri. The 40-year-old Cindy said, "I was super shy, I remember when all of us are wearing our costumes for the first time, we had an Encantadia party on the set. "I remember, I kept staying in the background because I had a feeling that this is so grand, how do I deserve to be part of this?" It was even director Mark Reyes who pushed her to join the cast and not stay in the background. "And, talaga, I would look at Karylle, I would look at Iza, and at Sunshine and I would think it must be a mistake! They are too high-caliber for me to belong! "But they made me feel so welcome. There wasn't that one time was there this kind of catty [behavior], none of that ever, not just with me but with everyone else as well. "It was talaga family because we went through sleepless nights, we went through several days in a row of taping." In Encantadia the series, it was always Cindy's character who would speak Enchanta, the official language of the Encantadia kingdom that was written for the series. Because Cindy spoke the language and fits her accent very well, some even thought that the role was actually tailor-made for her. But for the former actress, she said, "It's a big coincidence!" Before Encantadia, Cindy used to be insecure with her accent, but Cassiopea would change that mindset. She continued, "It's super nice now in retrospect to get that compliment because, imagine, I was always conscious about my accent. "And later on in life, my insecurity turned out to be a strength and that's such an empowering message, also for the rest of my life. "And it really changed me, that information that something I considered my weakness, it became my strength. It's nice, di ba?" Direk Mark also gave her the freedom to interpret the Enchanta language. 10 years after Encantadia aired its final episode in April 2006, the Kapuso network decided to do a remake. Cassiopea was included in the remake, and Solenn Heussaff was tapped to play her in the new version. According to Cindy, she was able to see clips and photos of Solenn as the character. What can she say about Solenn taking over her role for the new version? "I couldn't have chosen a better follow-up, I thought they really chose someone amazing for the role."